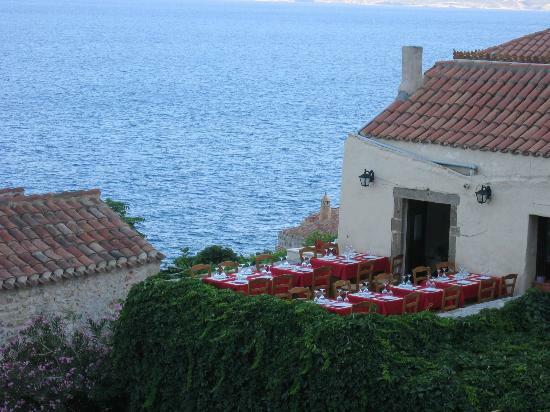 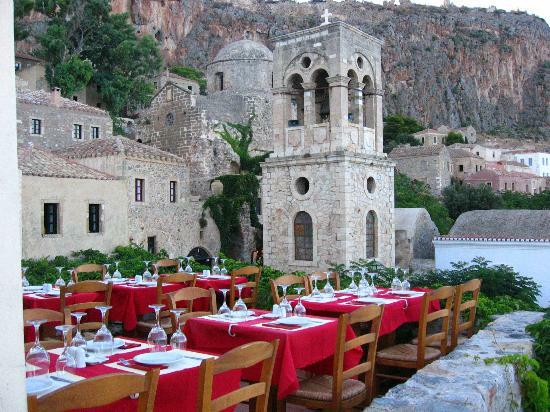 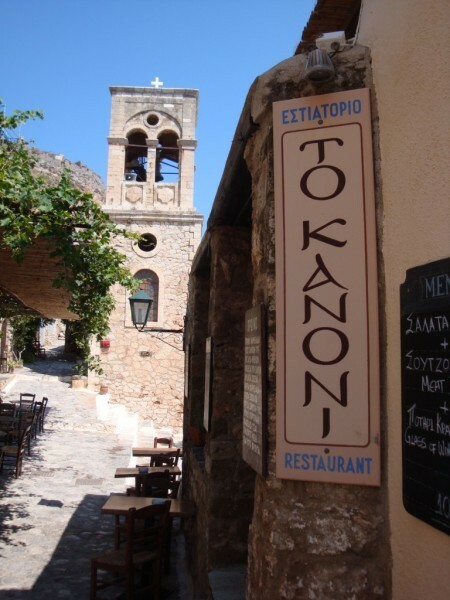 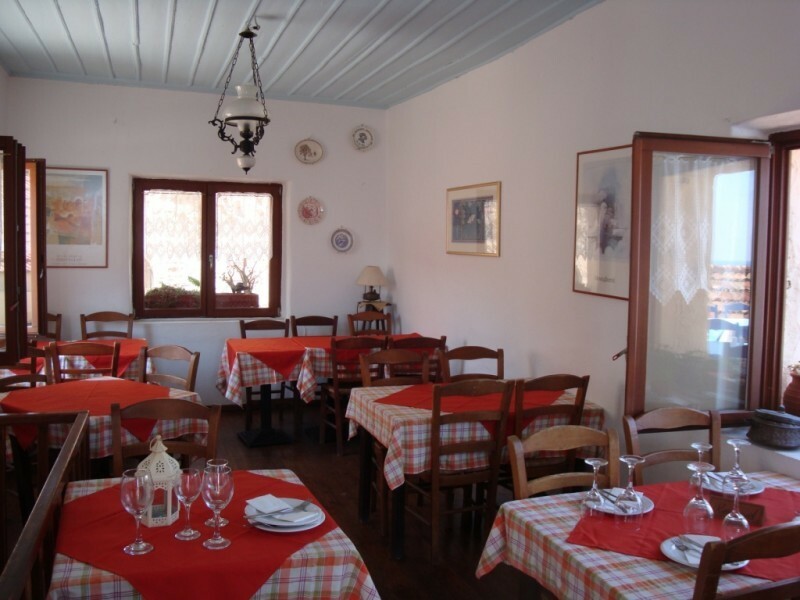 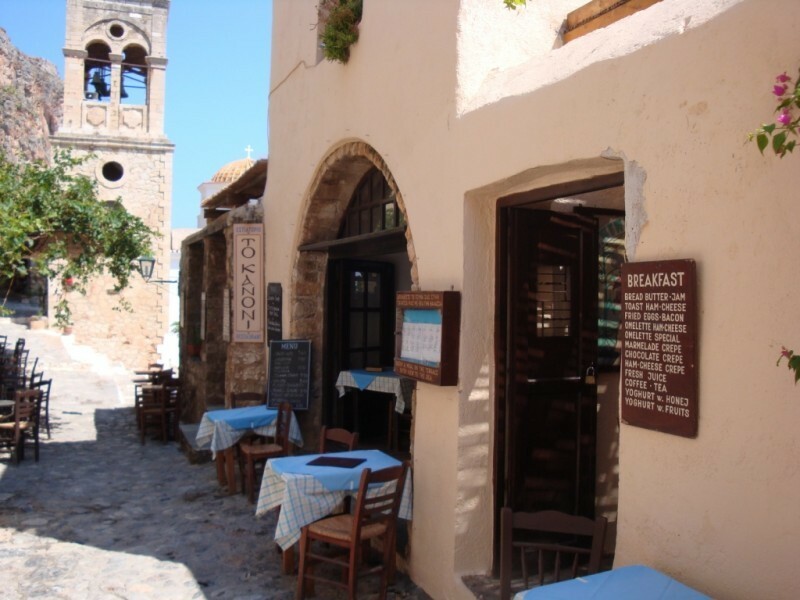 "To Kanoni" Restaurant is located at the center of the Castle of Monemvasia, just next to the main square of the medieval town where stands the church of Christ Elkomenos (in Chains). 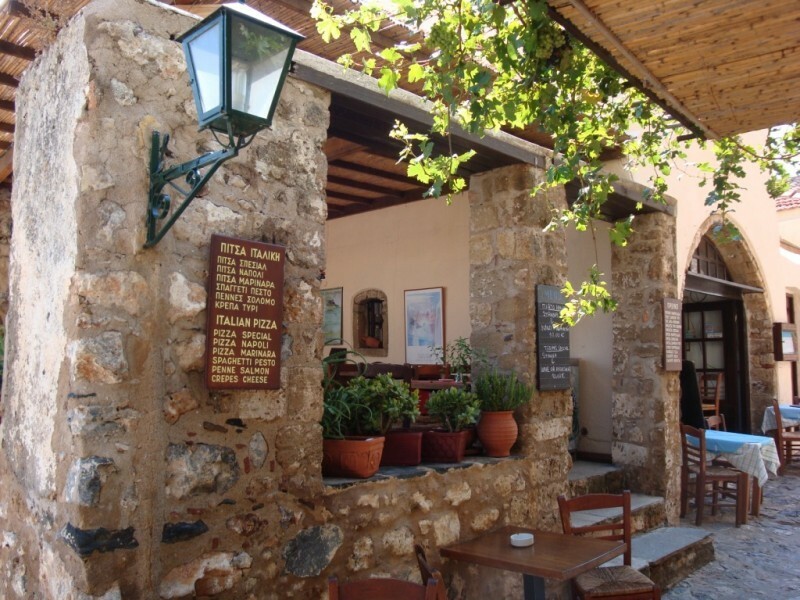 The restaurant -and the square- took its name from the old cannon that lies at the center of the square. 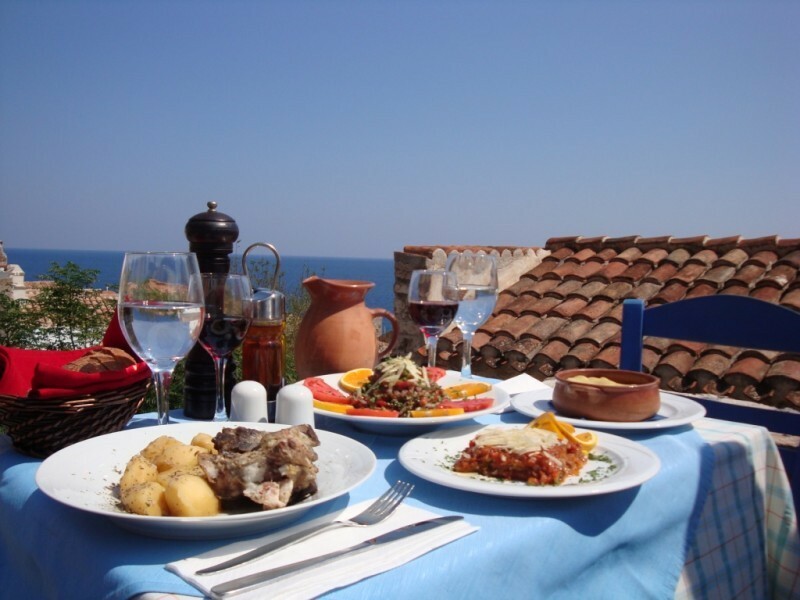 At Kanoni, you can taste extraordinary dishes, mostly based on local recipes and local ingredients. 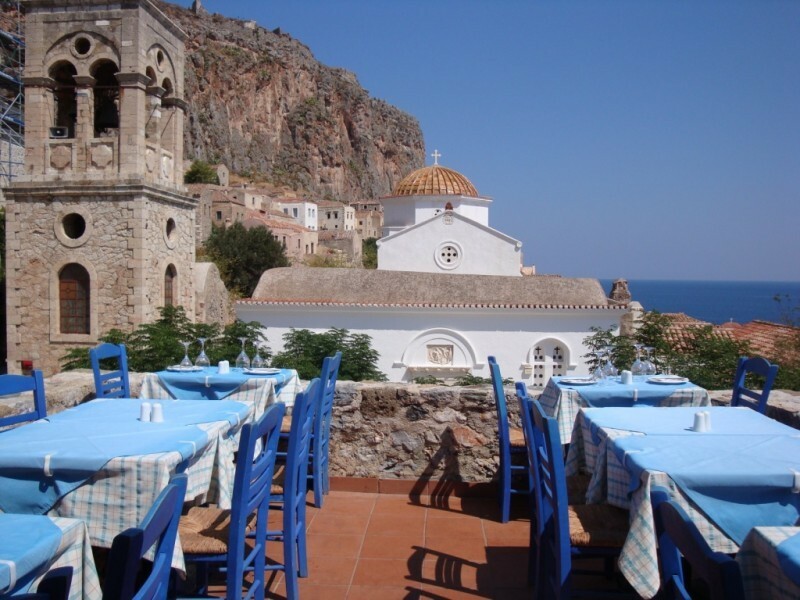 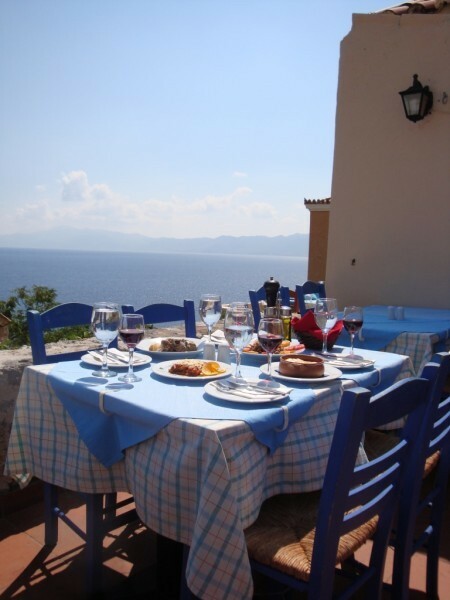 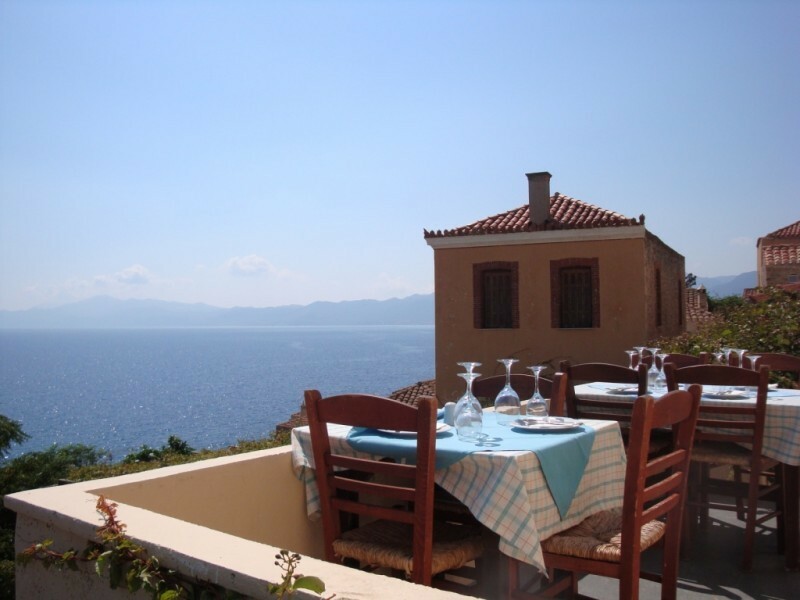 You may enjoy your meal on the restaurant's terrace with one of the most spectacular views of the area, overlooking the sea, the main square and the impressive rock with the Upper Town of Monemvasia! 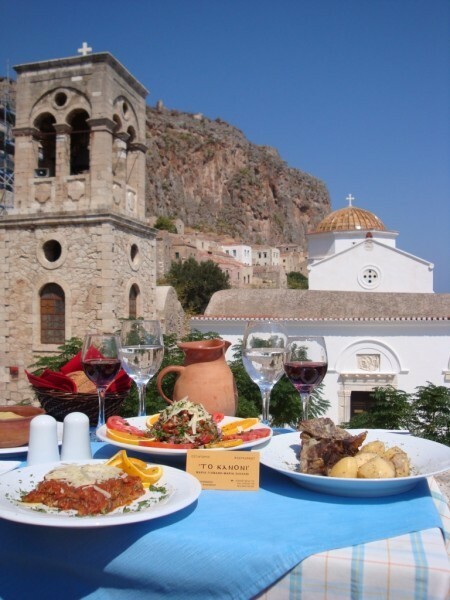 We highly recommend you to order "Castle" Split Peas, Chicken Fillet "To Kanoni" and Baked Lamb "Riganato"; which are among Kanoni's specialties.